An island in the Mediterranean Sea, Majorca (or Mallorca) is a popular tourist destination. And why not, just look at these photos (not mine – credit given). This weeks Wednesday Wanderlust Majorca. A beautiful coastline with sapphire beaches, hillside villages and mountains. Hilltop monasteries and old stone village houses and of course the landmark cathedral of Palma. 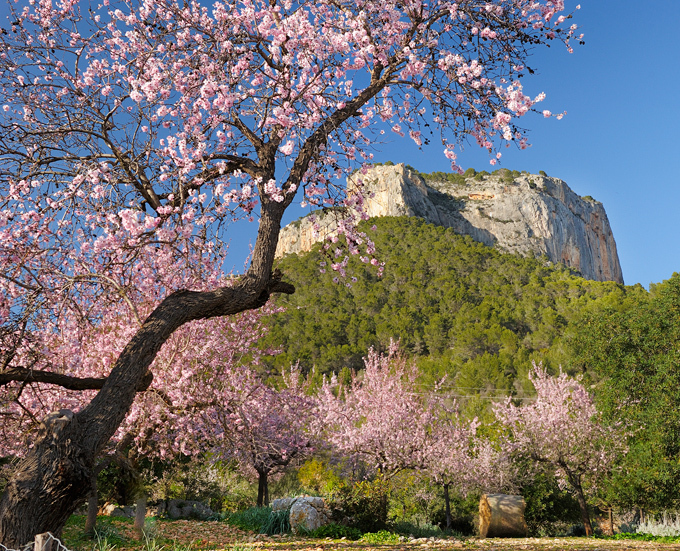 Majorca Islands clearly stir the creative juices with Chopin, the famous composer writing some of his work while he lived here, along with successful publishers George Sands, Agatha Christie, and Robert Graves. So, if you write for a living, I think you could classify it as a working holiday, right? Who’s with me?! We could feast from the groves of carob, olives and almonds that are scattered around the country farmhouses. Have you travelled to Majorca in Spain? Who else suffers from Wanderlust Majorca? 33 Responses to "Wednesday Wanderlust Majorca"
I can’t say it was on my list but those photos are pretty special!! Quite tempting!! Seems to have a little bit of everything so I say why not. I’ve been to Majorca heaps of times but I must have been on the other side of the island with all the nightclubs, lager louts and huge hotels. I think I need to make a return trip and rediscover this beautiful island. I never knew it was such a treasure! Sometimes it’s a matter of getting off the beaten track in places like this to escape the tourist laden glitter strips. I always thought of Majorca as nothing but resort hotels and crowds. I didn’t realise it was so lovely. I would avoid those areas like the plague. There are always better options. Seems like everyone has the glitzy majorca in their minds. Definitely not what I would be going for. I’ve actually never really looked into Majorca – but it looks pretty from these photos! 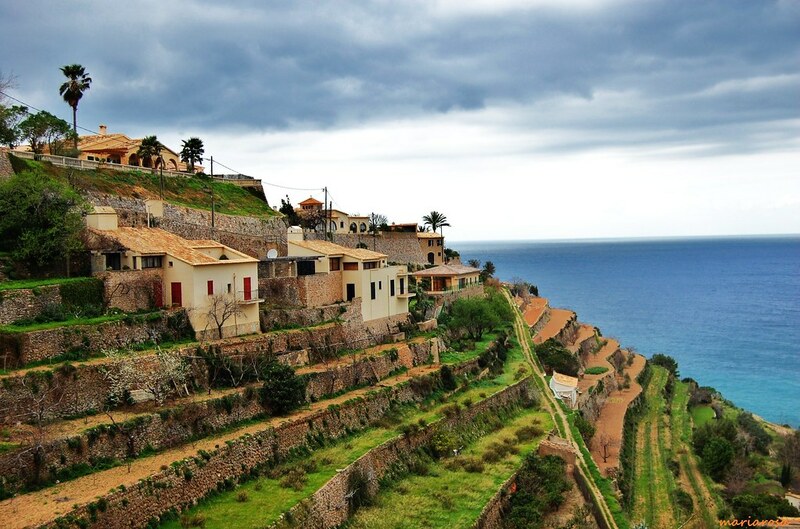 There are two faces to majorca so you have to dig a little deeper to find the pretty like this. I get what you mean Jess, but you can just close your eyes and dream just for a minute. It is nice to take a break from the day to day and escape to somewhere else, armchair travel is the best! Hello SPAIN!! My friend invited me to go to her 40th in San Sebastian later this year. I just can’t afford it. Going to problogger instead. haha. Clearly they are comparable. I Never was on Mallorca … I’ m interesting by the way of Menorca to Travel. It certainly would be an interesting holiday I think. I want to go there right now!!!! What an island! It would be great to visit. So much packed into such a small space. Man….. every time I visit your website I add another place to my must see list!!! So beautiful! My list grows too, not sure if it is a good thing or a bad thing, but at least we can explore all the options. I love these pictures.. It looks blissful. And I could eat my weight in Spanish food anyday! Hopefully sooner rather than later Shannon. I’m off there next week!! I’m so excited. I plan to do much feasting (and enjoying the sunshine, it’s been miserable here). Lucky you Rachel – enjoy it for all of us!